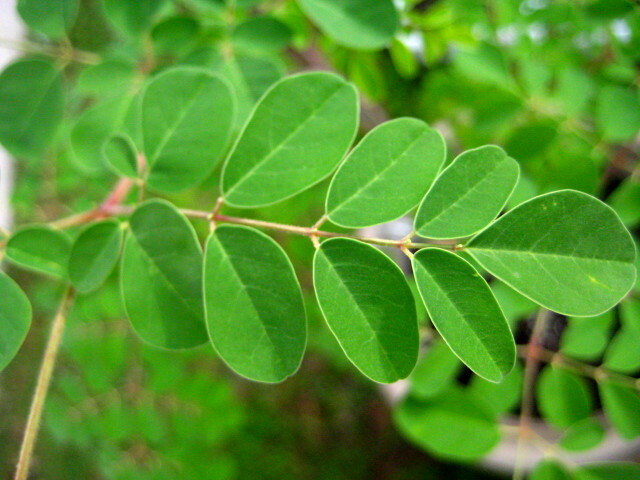 "People usually think of me, when they think about Moringa. 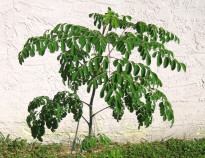 I can be planted very successfully as a hedge, and I grow so fast, that you CAN start enjoying my edible leaves in about a month - depending on what you plant me into, and how much sunlight, water, and warmth that I get"
"Both Stan and I provide extreme nutrition for you to eat, in our leaves, flowers, seeds and pods. We don't like the cold, but you can plant us in southern areas outside, to grow year-round, and you can bring us inside for the winter, if you live up north." My leaves are smaller, but I grow faster than Stan's tree does!" 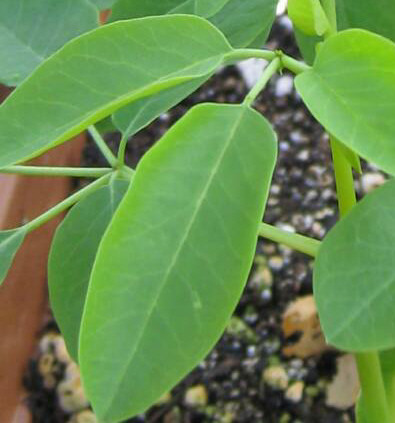 have different leaves, but they're both great!" 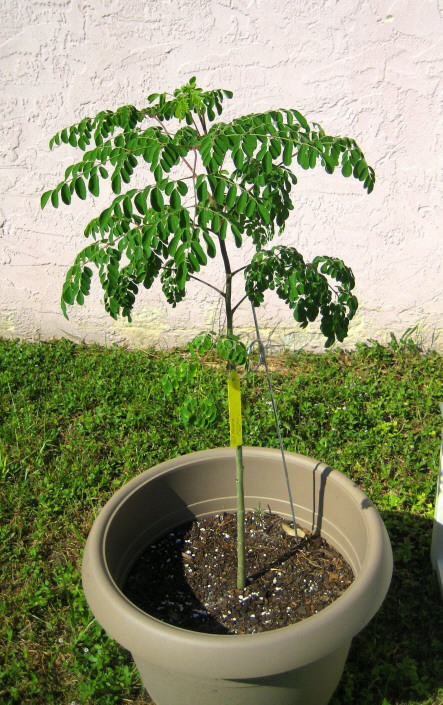 tree, the Moringa Stenopetala, will survive most droughts, and my seeds do a little better job of purifying water, than Morey's seeds do. 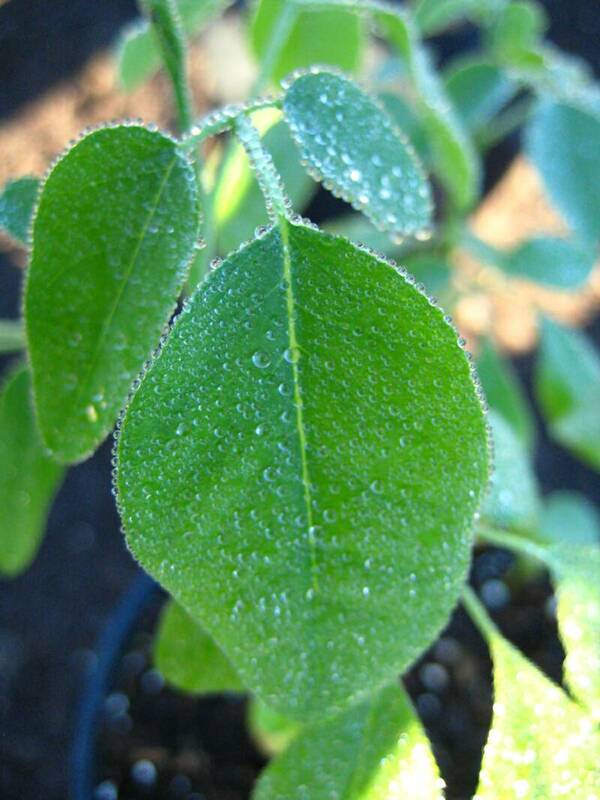 The photos below are to illustrate the differences between the 2 varieties' leaves. 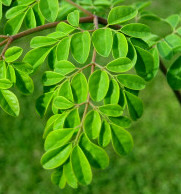 No matter which variety you choose, Moringa trees will provide you with lovely EDIBLE landscaping!